At Yü Energy, we pride ourselves on our customer service, providing a three ring pick up and dedicated Relationship Manager for all our customers. We want to ensure our customers receive the best service from us, so we’re continuously looking at ways to keep them happy. Good customer service plays a huge role in small businesses, it helps them distinguish themselves from their competitors to attract and retain new customers. When it comes to making a purchase, 64% of people find customer experience more important than price (Gartner). Speak to your customers on a regular basis so you can get to know them and their needs. Building up a good customer relationship will make them want to come back – they’re not just buying your product/service, they’re also buying into the customer relationship and their experience when visiting you. Receiving feedback from your customers is essential to keeping them happy. Whether it’s positive or negative feedback, it’s important to know how your customers feel about your product or service. 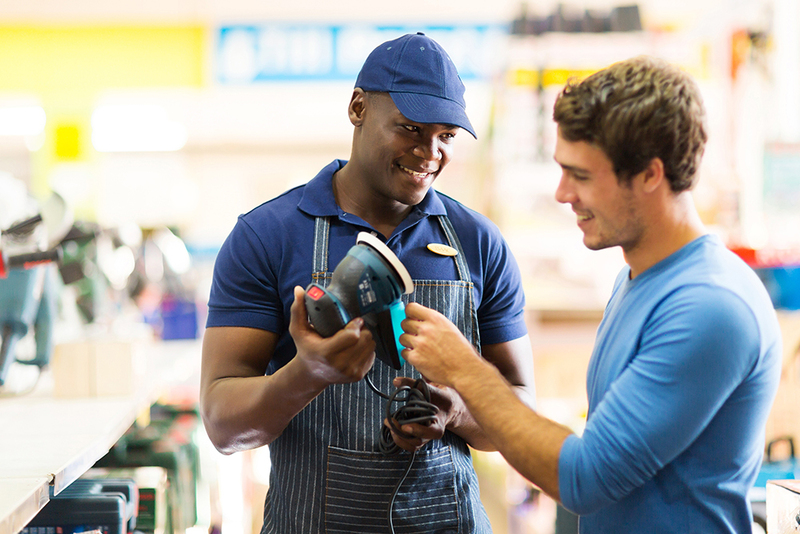 You can collect customer feedback by using simple online or in-store surveys. You can also ask customers to post social media reviews, which build up your reputation for other prospective customers. If you do receive any negative reviews, you should take these on board and try and do everything you can to rectify the issue; 70% of unhappy customers whose problems are resolved, are willing to shop with a business again (Glance). If you tell a customer you will do something, then it’s important to make sure you stick to your word. Your customers should be able to rely on you, so if you make promises then you need to ensure you do everything you can to keep them. Customer trust is important for building a good customer relationship and creating loyal customers. Make it easy for your customers to contact you. People like talking to real people, so make it easy for them to do so. Your customer’s time is precious, so being available and saving them time waiting on a line can be a massive plus. Having real people answering telephones or responding to emails also gives a more personal touch and helps build stronger customer relationships. It should be easy for them to contact you, whether that is via phone, email, visit, through social media or website live chat. Your employees are the face of your business, they are the ones interacting with your customers on a daily basis. By investing in your staff with customer service and product/service training, you will get the best out of them, and they will give their best to your customers. At Yü Energy, we understand how important communication is to our customer service, that’s why we never keep you waiting on the line.